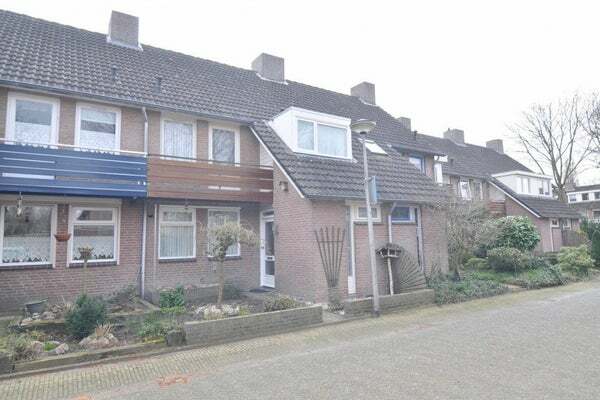 Ideal family home, which is fully furnished and located in the nice residential area Dommelen, close to Valkenswaard. O. a. good accessibility in relation to ASML, Valkenswaard, various schools and the border to Belgium. Entrance with hall to the living room, toilet, meter cupboard and stairs to the 1st floor. Spacious furnished living room with an open kitchen including a dishwasher, fridge, 4-burner gas stove and a nice bar where you can sit. The living room is also equipped with a fireplace, dining table and sitting area. Through a door at the rear you can reach the garden which is low in maintenance. In addition, the garden has a spacious canopy so you can sit outside, even when the weather is getting chilly. The garden is located towards the south, which guarantees a full day of sunshine. There is also a storage room. 2 spacious bedrooms, both of which have a double bed. Through the bedroom at the front you can reach the bathroom that has a separate shower, bath and sink with cabinet. At the rear of the house is a bedroom that can also be used as a study, for example. In addition, there is also a toilet on this floor. Spacious attic with lots of storage space, and also the connection for the washing machine and dryer. This attic can function perfectly as a bedroom. Please note, the bed shown is not included in the price. Rent is excluding gas, water and electricity consumption, TV / - Internet and municipal taxes. Maximum rental period of 24 months.